I'm a fairly huge fan at Atlassian and their product suite. I've been using BitBucket and SourceTree, both free for awhile. I know a lot of companies use Jira, but since that product isn't free forever (there is a 30 day trial of Jira), I did not want to commit the time to using it for my own side projects. Trello is another Atlassian product (originally developed by Fog Creek Software) that isn't a full blown project management tool, but offers barebone basics of project management, mainly by tasks. There are no reports or fancy charts. For my personal projects, this felt like a good fit. Plus it's forever free (Trello does have paid tiers), so it works will with BitBucket and SourceTree. If you want a quick intro to how Trello works without actually creating a free account, here's Trello in a handful of sentences. The following is based on a free account. Having a paid account will remove some of the constraints. Each Trello account can have unlimited boards. Each Trello board contain multiple lists. These are configurable and are useful to create a new list of a "state" of a task (such as backburner, in-progress, on hold, completed, etc). Each Trello board contain tasks (known as cards) that hold title, description, linear history of comments, checklists, labels, due date, and attachments. Each of these Trello Card are part of a list. Trello Cards can move across your set of Trello lists. Once it's done, the card can be archived. Additional features of Trello include free Android and iPhone apps, so I can stay on top of my tasks when I'm on the go. In fact, during my experiment, I found it handy to create a Trello Board for tracking personal and work tasks. How to Integrate Trello with BitBucket? It's considered a power-up. You get one free per board. You can link branches or recent commits. When you click the link, it deep-links into BitBucket with information regarding the commits. How to automatically add myself to a Trello Card? There isn't a setting to automatically add yourself to a Trello Card, but there's a keyboard shortcut. If you hover your mouse over a card and press [space], Trello will quickly assign you to a Card. How to Password Protect Individual Trello Boards? Since a single login can facilitate different areas of your life (work/home/personal... etc), I want a way to password protect certain Trello Boards so they couldn't be accessed in case I forgot to lock my computer. So far, I haven't found a way. The Android Trello app itself is fairly handy. They have a widget that I can put on my homescreen, but the lack of configuration makes it difficult to show me what I need at the right time. Therefore, I stopped using the Trello Android Widget and instead only use it to access information on the go as necessary. I like that you can use Google login, as this makes it both easy to login from a desktop/laptop browser and from my Android phone. One less password to remember, plus it pulls in my photos for use from within Trello. 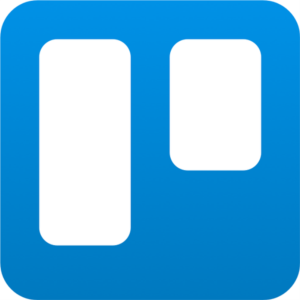 Ultimately, if you're looking for a tool to help you manage your tasks, I think that Trello is the perfect tool. It's not too heavyweight such as Bug/Feature Management tools or Project Management tools. However, not that Trello isn't designed to be Bug/Feature Management tool or Project Management tool, so look elsewhere if that's your end goal. Continue and learn more at Trello.